During the recently ended and hotly-contested presidential primary season, no one has brought more attention to the superdelegate system than Sen. Bernie Sanders. Sanders, who has finally endorsed Hillary Clinton a month after the primary's conclusion, has argued that Clinton's overwhelming majority haul of "undemocratic" superdelegates allowed her to clinch the nomination. 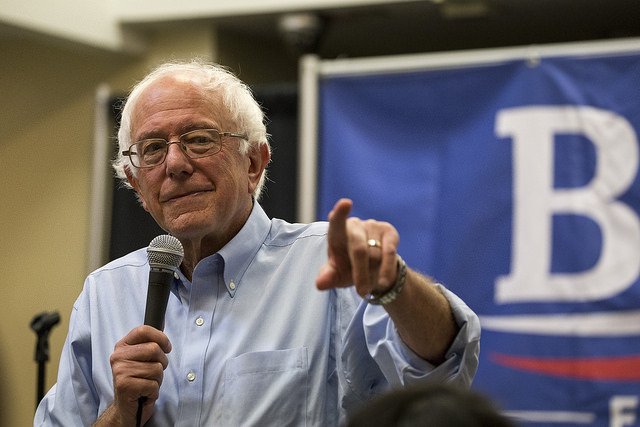 The Vermont senator is now turning his attention to reforming the Democratic Party leadership, including a call to abolish all superdelegates. 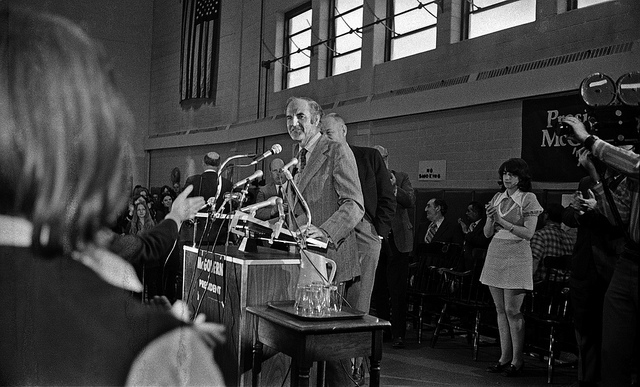 As both parties prepare for their July nominating conventions, we looked into the fraught history of superdelegates and how they function differently for the GOP and Democrats. How did the superdelegate system begin? Superdelegates have the presidential races of 1972 and 1980 to thank for their existence. In both those years, Democrats lost the White House by blowout proportions. Incumbent President Jimmy Carter carried only six states and the District of Columbia in 1980, which put him five states ahead of George McGovern's 1972 finish. Party leadership felt that they had let the nominating process get away from them, so, in 1980, they asked North Carolina Gov. James B. Hunt to convene a committee on delegation guidelines. The Commission on Presidential Nominations eventually recommended a new category of convention participants: superdelegates. These superdelegates would consist of party leaders and elected Democrats who would come to the 1984 convention untethered to any candidate. Party leaders believed that these superdelegates, perceived as more moderate and more politically seasoned than pledged delegates, would provide a counterweight to more "insurgent" forces. The first year that superdelegates were used, in 1984, they helped Walter Mondale secure the nomination on the first convention ballot, over Gary Hart and Jesse Jackson. But this moderating force did not have the overall effect Democratic leadership had envisioned; Mondale went on to lose 49 out of 50 states to incumbent President Ronald Reagan. 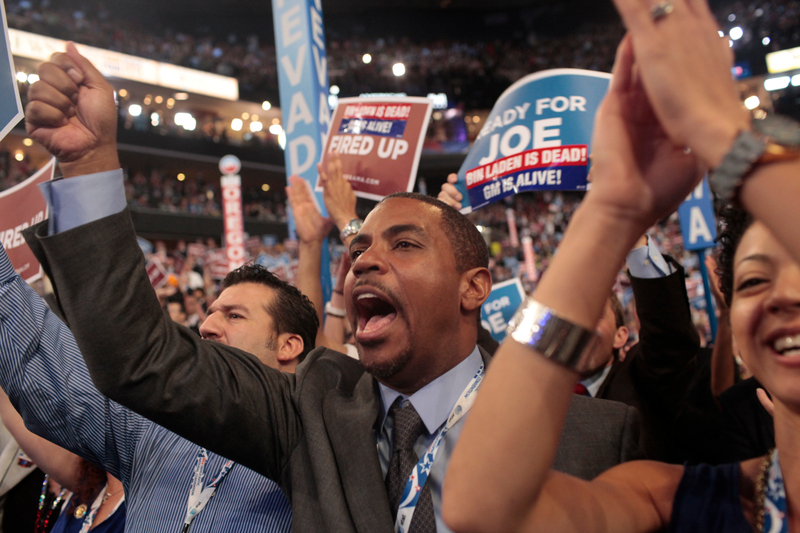 What does the superdelegate system look like in 2016? Today, 712 superdelegates make up about 15 percent of the total Democratic delegation, or a third of the 2,383 delegates needed to secure the nomination. Sanders' campaign raised early protestations to the superdelegate system when some 400 had already pledged allegiance to Clinton months before a single vote was cast. Does the Republican Party have superdelegates? Superdelegates make up seven percent of the Republican nominating delegation, but they don’t have the same "untethered" status that Democratic superdelegates do. Following the prolonged 2012 nomination of Mitt Romney, the Republican Party decided to instate new convention guidelines. One of these guidelines mandated that all superdelegates vote for the candidate who won their state in the primary. Ironically, these guidelines have eased Donald Trump's path to the nomination, as his many competitors failed to meet the threshold necessary to qualify for consideration. Some anti-Trump GOP insiders are now wistfully calling for unbinding delegates from the primary results and allowing them to "vote their conscience." Will the superdelegate system be revised soon? Some of Sanders' supporters have filed petitions to abolish Democratic superdelegates, but this may not result in any change. Democratic National Committee Chairwoman Debbie Wasserman Schultz has voiced continued support of the superdelegate system, claiming that superdelegates allow greater convention representation from diverse grassroots activists. Because elected officials can be allowed the security of a superdelegate seat, Schultz’s argument goes, those grassroots activists do not have to compete with them for the pledged delegate seats at the convention. The Congressional Black Caucus, who has hit back at Sanders for his demands of party reform, appear to agree with the DNC Chairwoman’s assessment. Ultimately, those demanding reform in the nomination process may reach an impasse when they consider who would have to approve such reform: the Democratic National Committee.